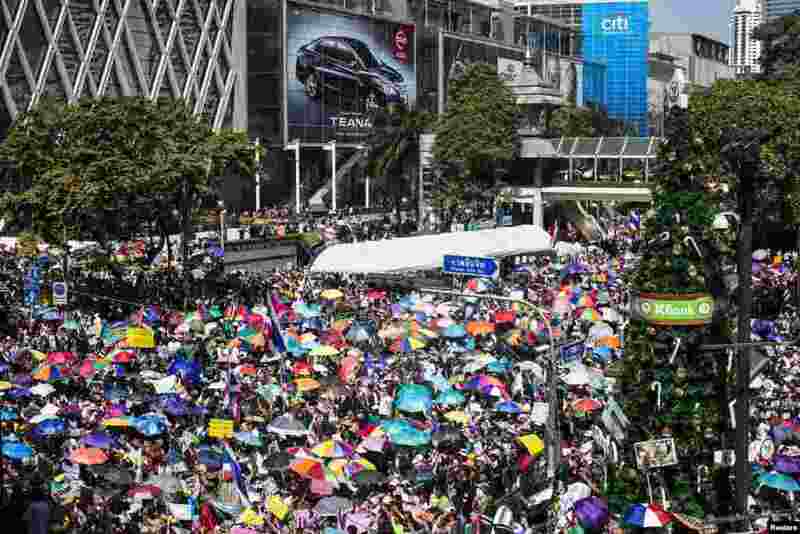 1 Anti-government protesters gather outside the Central World mall in the shopping district in central Bangkok, Jan. 13, 2014. 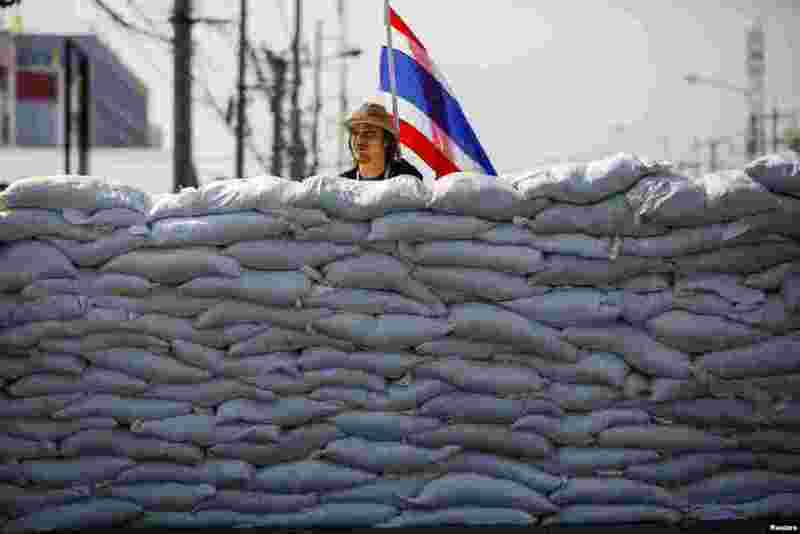 2 An anti-government protester stands behind a barricade in a major intersection in central Bangkok, Jan. 13, 2014. 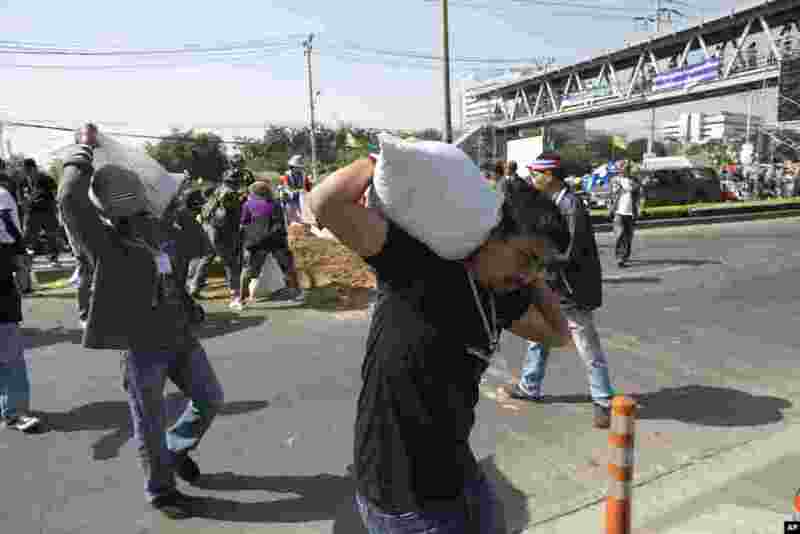 3 Anti-government protesters carry sand bags to set up road blocks during a rally outside the government complex in Bangkok, Jan. 13, 2014. 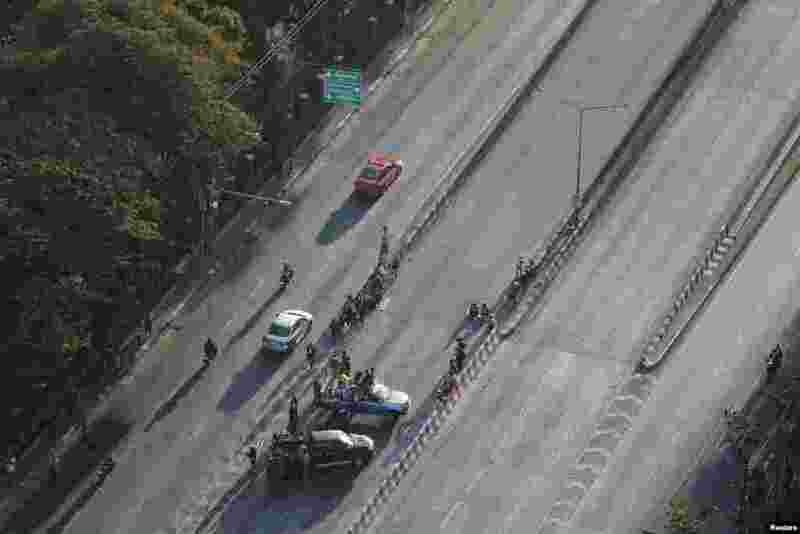 4 Anti-government protesters block the road at a major intersection in central Bangkok, Jan. 13, 2014.